Understanding how to manipulate, deploy and leverage Apache Spark is essential for data engineers, architects, and data scientists. This course will give you the core principles needed to understand Apache Spark and build your confidence through hands-on experiences. You will be guided through a wide range of hands-on Apache Spark concepts using Scala source code examples; all of which are designed to give you fundamental, working Spark with Scala knowledge. Each section carefully builds upon previous sections, so your learning is reinforced along every step of the way. All of the source code is conveniently available for download, so you can run and modify for yourself. As an added bonus, this course will teach you about Scala and the Scala ecosystem such as SBT and SBT plugins to make packaging and deploying to Spark easier and more efficient. As another added bonus, on top of all the extensive course content, the course offers a private message board so you can ask the instructor questions at anytime during your Spark learning journey. This course will make you more knowledgeable about Apache Spark. 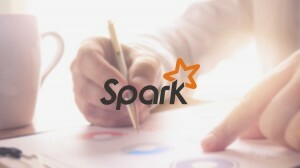 It offers you the chance to build your confidence, productivity and value in your Spark adventures.